Authors are requested to submit their manuscript electronically through the online submission system. Contact one of the Editors-in-Chief if you need help. New research has shown that visual alerting methods are still considered to be the most trustworthy, as compared to auditory or tactile alerts. This is shown by research conducted by a team of scientists at Old Dominion University in Norfolk, VA, USA. 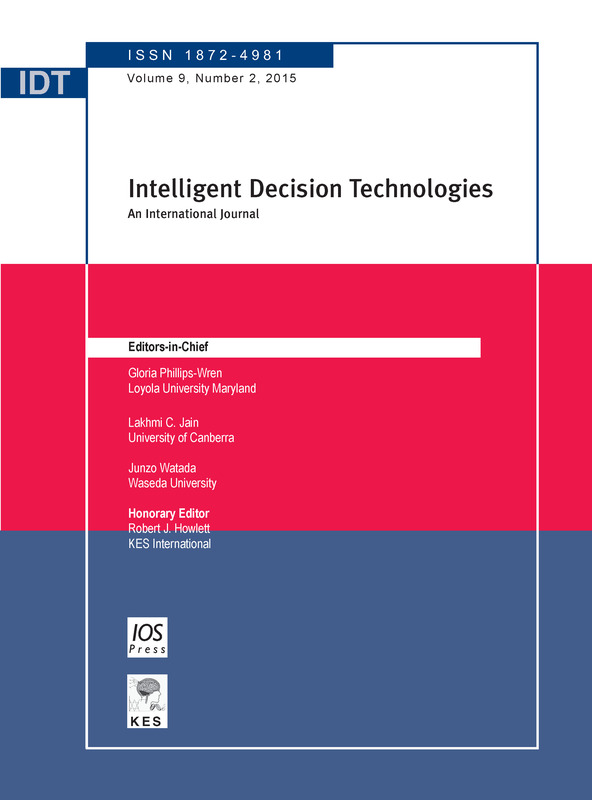 The research Alert Characteristics and Identification of Avatars on a Virtual Battlefield by James P. Bliss, Rachel Liebman and J. Christopher Brill is published in the current issue (6:2) of the journal Intelligent Decision Technologies. Most research to date has been limited to the visual or auditory signal modality. The question of how signal reliability interacts with signal modality to impact reaction behaviors is important with regard to applied environments such as the military battlefield. In the study, thirty undergraduate students completed two sessions of a virtual reconnaissance mission. During each session, they received ten alerts about nearly opposing forces. They indicated trust or distrust of each alert, and subsequently identified the avatar as friend or foe. Results indicated that participants trusted more historically reliable alerts, and that they showed quicker identification behaviour for visually presented alerts.